(December 12, 1919 December 18, 2001). 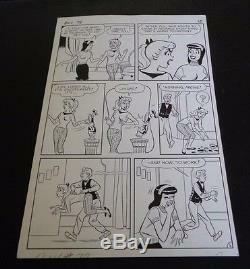 Original Art 13" x 19" page from Betty & Veronica #78 June 1962, page 5 "The Routine"! 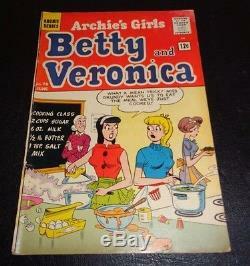 Plus, the comic Betty & Veronica #78 in G/VG Condition. The ARTWORK Condition is Excellent, as per photos. A TWO FOR ONE SPECIAL! Mailed Insured with Signature Confirmation. ALL ITEMS COME WITH A HAND SIGNED CERTIFICATE OF AUTHENTICITY BY JEFF GELB! Please read the Jeff Gelb Bio, that we compiled below. Also, please be advised that Mr. Jeff Gelb will NOT answer any Industry or Personal Questions! Jeff Gelb has been an avid (some would say rabid) comic book and pop culture collector and fan since the late 50s. 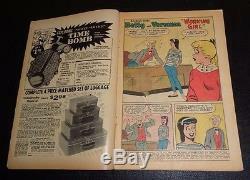 In 1964 he started publishing fanzines with MEN OF MYSTERY, and was a frequent fanzine contributor throughout the 60s. Then he started a career in radio as an air personality at stations in Cleveland and San Diego. He moved to Los Angeles in 1978 to enter the music industry, where he joined Radio & Records as an editor. While there, he hosted and wrote several nationally syndicated radio programs. He remains in the music industry and still lives in Los Angeles. In 1988, Gelb saw his first work of fiction published, with SPECTERS, a horror novel. Since then he has edited or co-edited 22 anthologies of horror and suspense fiction, including the award-wining HOT BLOOD series. His SHOCK ROCK anthologies included new work from Stephen King and a Foreword by Alice Cooper, and were optioned for TV. He has worked with such authors as Ray Bradbury, Richard Matheson, Clive Barker, and many others. He has written dozens of articles and interviews for magazines like Fangoria, Mediascene, Comic Buyers Guide, Comic Book Marketplace, and more. 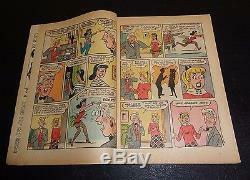 The item "DAN DeCARLO Original Art! Betty & Veronica #78 June 1962, page 5 The Routine" is in sale since Sunday, June 4, 2017. 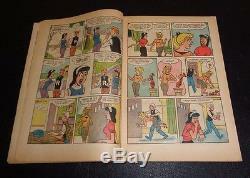 This item is in the category "Collectibles\Comics\Silver Age (1956-69)\Romance". 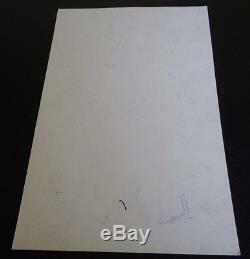 The seller is "mrpopauction" and is located in Sherman Oaks, California.